1) On our second day in Rome, we had arranged to meet one of our Southern Baptist missionaries serving there. We were to take a couple of different subways and meet at a certain place and time. Then, we were going to be given a tour of the ministry area and have dinner together. We arrived at the scheduled place and time, but within five minutes, I realized my mistake. The missionary wasn’t there, and I did not have an in-country phone number nor a way of contacting her without being in a wi-fi area. We waited and waited, but she didn’t come. It didn’t help matters that I suggested a different subway stop on the way back to our hotel — a stop that ended up taking us FAR from where we really needed to be. When I finally DID make it back to the hotel and a wi-fi connection, I had an extremely apologetic message from the missionary stating that they had a visiting volunteer team working with them that week and that two of her children had gotten sick and basically, she just forgot. It was a bummer, but it was also very understandable. However, if I had just planned a little better, we might have made the connection happen. The missionary, of course, was forgiven. Maybe next time. The lesson for you? 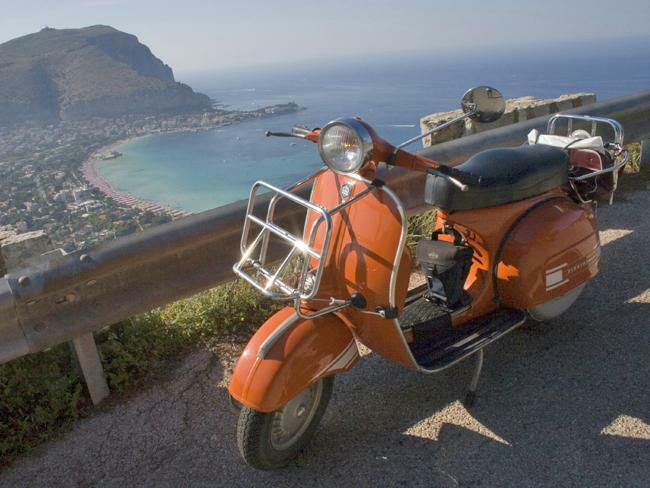 If you hope to connect with someone in Italy or in ANY foreign country, get several types of contact information and have a Plan A, B AND C.
2) I really had this big idea that Steve and I were going to rent a Vespa and ride together along the Amalfi Coast. It sounded romantic. Haven’t you seen old movies with scenes such as that? And, if nothing else, our kids would have gotten a kick out of it. 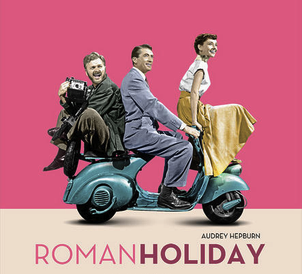 Can’t you just picture my Silver Fox and me (a la Audrey Hepburn and Gregory Peck in “Roman Holiday”)? And look at that beautiful coastline? What a thrill!!!! Well, the reality was that a 63-year-old and her 65-year-old Silver Fox had NO business heading out on a Vespa — along with hundreds of seasoned Vespa drivers/riders, whizzing cars, and guard-rail-grazing buses — on the windy, narrow roads between Positano and Amalfi or between a mountain and “the deep blue sea.” I didn’t want to return from Italy in a body cast OR a body bag, either of which would have been strong possibilities. There were Vintage Vespa Tours available once we got to Florence, but we had already planned other adventures for those days. Oh well. Next time. 3) When we arrived in Milan, our plan was to take a train the next day to Lake Como situated at the foot of the Alps. 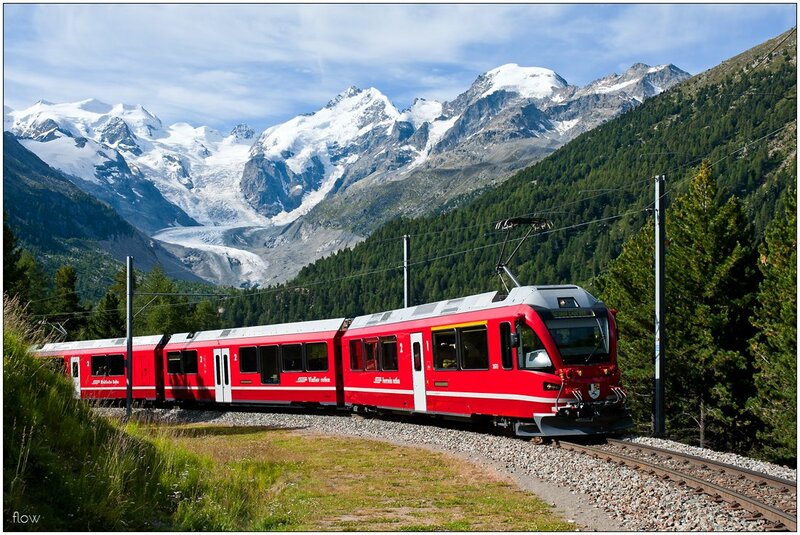 But, late in the afternoon we discovered that if we could get (by train) to Torino (not very far from Milan), then there was a special train called the Bernina Express that would take us through the Alps into Switzerland. Can you imagine how beautiful that ride would be? Can’t you just taste the chocolate we could have bought in St. Moritz? We started scrambling to make the arrangements. We figured schedules, counted our remaining money, and finally got ready to call and “book it” by 7:15 p.m. The tour office closed at 7:00 p.m. It was not to be. But, for those of you planning a trip in the future, please consider adding such an excursion to your itinerary. I believe you’ll be glad. Here’s a link you can use. Well, there you have my three small disappointments. I don’t have much to whine about, do I? I have a very sad postscript to add to Disappointment #1. The missionary we were supposed to meet in Rome was killed in a tragic accident while on a visit with her family back in the States in Georgia. Here is an article describing this horrible event. What a beautiful young woman she was. Please pray for her grieving family.